Paperback, 6.75 x 9.5 in. / 288 pgs / 174 color / 68 bw. Perhaps the most preeminent sculptor of the twentieth century, Alberto Giacometti (1901–1966) radically transformed the modern vision of art with his attenuated bronze figures whittled down to the very brink of existence. This substantial monograph supplies a new standard overview of his tremendous achievement. 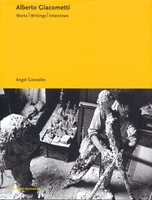 A decade-long labor of love by Véronique Wiesinger, Director of the Fondation Alberto et Annette Giacometti in Paris, this book emphasizes the sculptor as a thinker, underlining the philosophical (existentialist) drive of his work and its development away from Surrealism. 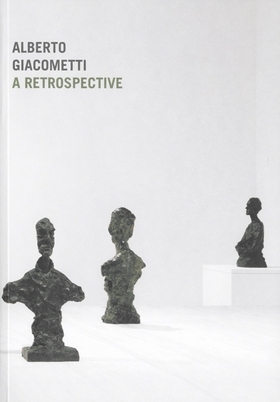 Wiesinger’s account of Giacometti’s career pursues the artist through a series of formal breakthroughs, each of which produces a more succinct statement on existence and the human figure. At more than 300 pages, and with an abundance of color plates, this handsome volume is the essential Giacometti monograph. FORMAT: Pbk, 6.75 x 9.5 in. / 288 pgs / 174 color / 68 b&w.